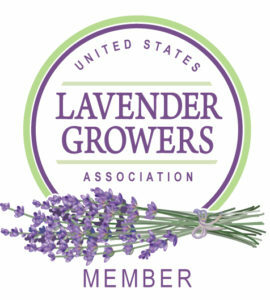 Our 33-acre lavender farm is home to 4,000 lavender plants. Here, you’ll walk through magical fields of purple and experience lavender in its most natural form. Take a break in our historic ski lodge/barn, and visit our farm shop for handcrafted gifts for that special someone. Our farm is open by appointment or on our U Pick Days. Hours vary by date - Stay the whole time or just for a little while! Pet policy: Our farm is home to our many animals (horses, cows, goats, pigs, chickens, guinea hens), for their comfort, health and safety we do not allow outside pets brought on to our farm. Thank you for your understanding. Emergencies happen. But we must plan for each day and event. Therefore, if you have pre-registered, refunds for tickets will only be given up to 48 hours before your date. If you need to change dates, we can move you to a new date one time only and this must be done 48 hours before the date you have registered. Based on growing conditions and Mother Nature, we do need to reserve the right to change or cancel Upick dates, but we will have lots of communication in advance. If we do need to cancel for any reason, we will refund registrations. As far as weather, the season is a rain or shine event. Remember, if a day is rainy, since you can come any time during our hours, you can plan your visit around weather. Thank you for your understanding on these policies. We are going to need a lot of happy helpers for these 10 days of Upick! Are you interested in helping? You will receive a free Upick $10 bundle and gift basket. Please Contact Us with your name and dates you are interested. We’ll figure out which job is best suited for you! Make sure to include what day(s) you can volunteer. We're new to area. Your farm.looks stupendous. Site mentions you-pick blueberries opportunity but I don't see a schedule on your site. I see the one for.lavendar, but not one for blueberries. Thanks.